Angel sharks are some of the most endangered fish in European waters. This family of elasmobranchs (sharks and rays) are particularly susceptible to the combined impacts of fishing and habitat degradation, due to their coastal location and biology (large, flat-bodied animals with low fecundity). Three species of angel shark were once widespread throughout the Eastern Atlantic and Mediterranean Sea. All are listed as Critically Endangered on the IUCN Red List of threatened species and are part of the second most threatened family of sharks and ray in the world. However, the Canary Islands have been identified as a unique stronghold for one species, the Angelshark (Squatina squatina), and we are also seeing occasional sightings of this species in Wales, Ireland and some parts of the Mediterranean Sea, giving hope for the future of this species. ZSL hosts the Angel Shark Conservation Network - a multidisciplinary group who are working together to better understand and protect the three angel shark species found in the Eastern Atlantic and Mediterranean Sea. Founding partners include IUCN Shark Specialist Group, Submon, The Shark Trust, Universidad de Las Palmas de Gran Canaria (ULPGC), Zoological Research Museum Alexander Koenig (ZMFK) and ZSL. ZSL co-founded the Angel Shark Project alongside ULPGC and ZMFK in 2013 - this project focuses on the Canary Islands, and collects ecological and population data whilst engaging with local communities, researchers and government to raise awareness and deliver conservation action. 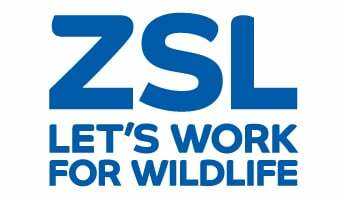 ZSL co-leads the Angel Shark Project: Wales alongside Natural Resources Wales (NRW) to better understand and conserve the Angelshark in Welsh waters through fisher-participation, heritage and citizen science. In 2016, two Angel Shark Conservation Workshops were completed to identify the key actions needed to overcome the major threats to angel shark populations. Stakeholder representatives from all sectors attended the workshops to develop two key documents: the Angelshark Action Plan for the Canary Islands and Eastern Atlantic and Mediterranean Angel Shark Conservation Strategy. The Action Plan identifies the objectives and activities needed to achieve our Vision that Angelsharks in the Canary Islands are abundant and protected in their unique stronghold. The Strategy provides a framework for improved protection of the three Critically Endangered angel sharks present across the wider range. Find out more on the Angel Shark Conservation Network and sign up to receive updates. Understanding the biology and behaviour of angel sharks through collecting observations, tagging and genetic research. Reducing mortality and disturbance of angel sharks by working with key stakeholders. Raising awareness of the importance of the Canary Islands for angel shark conservation with the local population, expatriate population and tourists in the archipelago. Providing evidence for and driving legislative change with local authorities and governments. Delivering Europe-wide conservation initiatives through a developed Angel Shark Conservation Network. Public sightings of angel sharks are vital to identify important habitats for these species e.g. nursery and foraging areas, and also answer basic ecological questions, such as when the breeding season is. Check out the first results here. Our interactive map provides a quick way for divers, fishers or other stakeholders to report their angel shark sighting across the Eastern Atlantic and Mediterranean Sea. Please report your Angelshark sightings. Since 2015, the Angel Shark Project has been working closely with sportfishers in Gran Canaria, Tenerife, Fuerteventura and Lanzarote to explain how small changes in handling Angelsharks accidentally caught during fishing trips can greatly increase their survival. Together we developed a Best Practice Guide to Safely Release Angel Sharks - which is used by over 75% sportfisher charter boats on the islands we've worked on. Look out for charter fishing boats who display this guide on their boats. In April 2015, we developed a protocol for tagging Angelsharks with visual ID tags and taking genetic samples. We have since completed tagging expeditions in Gran Canaria, Lanzarote, Fuerteventura and Tenerife to understand Angelshark movement and the genetic samples are currently being analysed to understand population connectivity. The tagging project is closely linked to our citizen science sightings, so that divers and fishers can report sightings of tagged Angelsharks. In 2018, we are expanding our tagging work by completing the first acoustic tagging study of Angelsharks to improve understanding of habitat use, movement and site fidelity in the La Graciosa Marine Reserve. The initial phase of this project has been to develop an external electronic tag attachment methodology so that we can tag Angelsharks underwater. It was important to us to complete this work in the Angelshark's habitat to ensure minimal stress to the species. The external tag will be attached to the base of the first dorsal fin and has been carefully designed following a workshop and three prototype trials to ensure minimal impact on Angelshark ecology, both in where it is positioned and how it has been developed (lightweight, camouflaged and it will fall off after c. 1 year of study). The first tagging expedition will be completed in July 2018. This project is being delivered by ZSL, ULPGC, ZFMK, IRNAS, Arribada Initiative and Centre for Environment Fisheries and Aquaculture Science. The Angel Shark Project is completing research at an important Angelshark nursery ground in Tenerife using a mark-recapture study. This technique will help us understand population size and structure as well as estimating the spatial distribution and habitat use of juvenile Angelsharks. Find out more here. In addition, we are completing surveys across the archipelago to identify other Angelshark nursery grounds and investigate their environmental characteristics. This information will be used to ensure that the most important habitats for Angelsharks are not compromised. Fisher engagement - working with fishers to gather vital information on where Angelsharks used to be found and where they are still accidentally caught today. Through regular meetings and training days we will explain how to handle Angelsharks so they are released in the best condition and how to take mucus samples (so that we can gather DNA to understand how Angelsharks in Wales are connected). We are working closely with the Welsh Fisherman's Association and Welsh Federation of Sea Anglers to complete this work. It is important to note that direct targeted fishing of Angelsharks is illegal and discouraged by this project. Historical research - working with older communities across Wales to gather information, memories and photographs of Angelsharks from a time when they were more abundant as part of a Angelshark History Roadshow. This will be complemented with citizen science research at local libraries, archives and magazines to develop a full historical picture of Angelsharks in Wales. We plan for these collections to not only help understand Angelshark ecology, but also to inspire younger generations and tackle some of the issues associated to loneliness in remote communities. Citizen science dive & snorkel surveys - working closely with Sea Search North Wales to complete Dive for Angels events at possible Angelshark habitats to try and find these animals in their natural environment. Citizen Science divers will be trained in Angelshark diving protocol and information will help understand Angelshark ecology in the region. Welsh Angelshark Action Plan - bringing all stakeholders together to develop the Wales Angelshark Action Plan, highlighting key steps to secure the future of Angelsharks in Welsh waters.